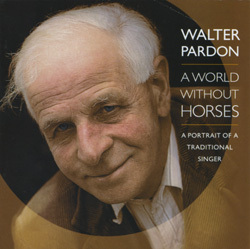 Walter Pardon was one of England’s great traditional singers. He lived all his life in the cottage where he was born in 1914 in the village of Knapton, Norfolk and spent all his working life as a carpenter. In 1974, a tape of his singing was received by the singer Peter Bellamy and this led to him being recognised as an outstanding singer of remarkable style and repertory. He was subsequently recorded extensively for a number of LPs on the Leader, Topic and Home Made Music labels and appeared in folk-clubs and festivals including the one held at the Smithsonian Institute of Folklife in Washington, DC in 1976. He appears in the series The Voice Of The People but this is the first full length CD to be made available and features classic traditional repertoire from one of the true masters of the craft.